Bob Spence can help you hire the right people. Getting ready to interview your top candidates? Struggling with writing your interview questions? We will write your questions for you. Send us your job specifications and we will prepare an interview for you using our Descriptive Situational methodology. Each interview will consist of a minimum of 15 main questions with specific follow up questions provided. You will also receive a recommended “listen for” to help you interpret the interviewee's responses. The all-inclusive professional fee is $1000.00 for each written interview. Trying to make a key hire? Want to have your top candidates interviewed by a professional interviewer? Bob Spence will prepare a targeted interview based on your job specifications, conduct the interview by videoconference and send you a videotape of the actual interview along with his recommendations. The professional fee for each candidate is $1000.00 plus far-end video charges. Successful companies, those described by Jim Collins as "Good To Great," have clear mission and vision. As part of a strategic business planning, Bob Spence will meet with your leadership team to develop your mission statement, vision statement, and your core values. The length of this process will depend upon your organization and your current developmental level. As part of the process, each member of the leadership team will be interviewed and assisted in developing a personalized growth and development plan. A one-day workshop facilitated by Bob Spence from Creative-Leadership, Inc., the architect of the Choosing Winners System! Learn More. This continues to be our most popular service. Using our Choosing Winners System, we work with you as a team member to find the right person. Initially, we will meet with you and your stakeholders to set the specifications and then we will source candidates based on your priorities. We will present three finalists who will have been through three interviews with us. Additionally, we will prepare all of your interviewers, including writing the interviews for them! We do provide a full twelve-month guarantee. There is a set fee plus direct expenses. Conducting your own search? Want to have a behavioral, value-based assessment of your top candidates? We will conduct telephone interviews with your top candidates using the appropriate structured, descriptive-behavioral interview. You will receive a written Profile of each candidate as well as targeted interview questions to use in your final interviews. With the cost of a mis-hire calculated to be at least three times an employee's annual compensation, this is a very wise investment. The all-inclusive professional fee is only $450.00 for each interviewee. This is a one-day training seminar designed to help you and your team implement the five-step Choosing Winners System in your company. The five steps are: Define, Score, Screen, Probe, and Confirm. The participants will learn how to set position specifications, evaluate resumes using a weighted point value process, use our 3 telephone screeners, interpret a Creative-Leadership Study, and write Descriptive Situational Interview questions. There is a limit of no more than 25 participants. There is a set fee plus direct expenses. Click here for a sample outline of a training session. Need a refresher on one of the tools mentioned in our newsletter? 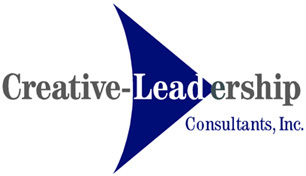 Copyright ©2006, Creative-Leadership Consultants, Inc. All Rights Reserved.